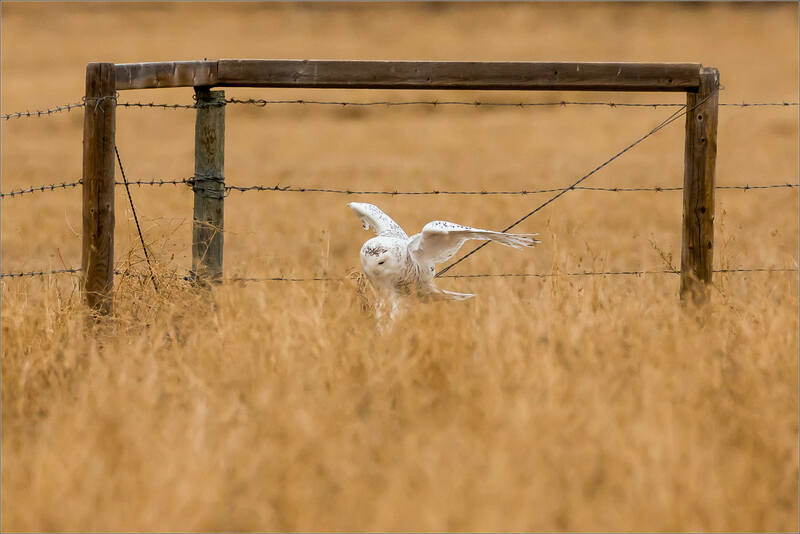 This Snowy owl’s dive into the grass directly below was a great moment to watch. The bird’s intense focus when it started tracking the prey from the perch on the fence through to the awesome descent to attack were welcome rewards given the time invested. I found this Snowy on this fence post a little after 9 am and quickly set up my camera and lens across the field from her. For the next 2 1/2 hours, she shuffled, scratched, preened, and dozed. She seemed to have little interest in me, the field mice or in flying for most of that time. She kept watch of everything going on around her but her talons may have been nailed to the wood! I was hadn’t expected to wait that long but with her relaxed manner, I hoped when she did fly it would be in the direction she faced when I first stopped. That direction was facing towards me and in the end she did do that. I thought if she flew that way, I would have a few in flight opportunities but this dive was short in both time and distance. I was happy to have captured a couple of frames before she disappeared into the grass. I waited for about 10 minutes for her to climb out of the tall grass and when she did it was heading away from me. Given the time on the ground, I would wager that she did catch the prey and spent the time out of sight enjoying the meal. This entry was posted on March 17, 2015 by Christopher Martin. 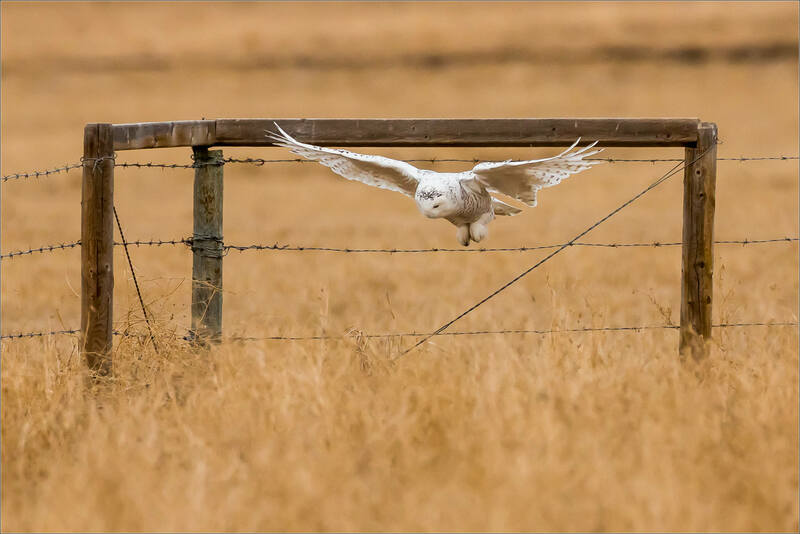 It was filed under Owls, Wildlife and was tagged with alberta, birds in flight, Bubo scandiacus, Canada, dive, flying, hunting, Irricana, nature photography, owls, prairie, raptor, snowy owls, wildlife. So worth your wait and now I can also admire her beauty, grace and strength–thank you!